The Teensy is a breadboard-friendly development board with loads of features in a, well, teensy package. 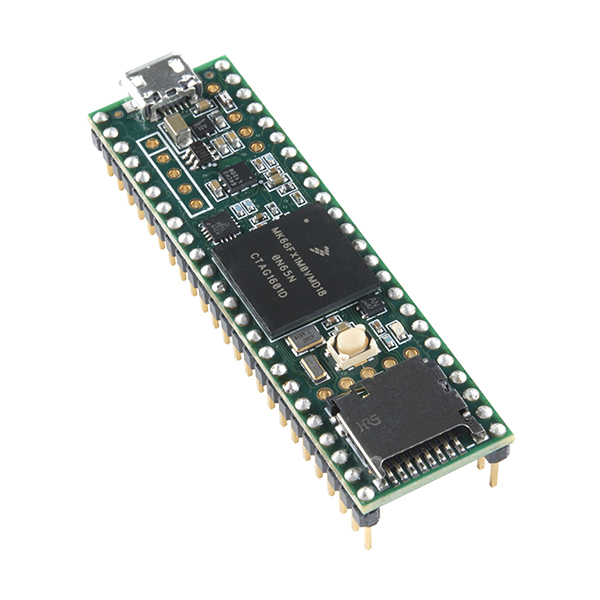 Each Teensy 3.6 comes with headers already attached and pre-flashed with a bootloader so you can program it using the onboard USB connection; no external programmer needed! You can program for the Teensy in your favorite program editor using C, or you can install the Teensyduino add-on for the Arduino IDE and write Arduino sketches for it! The processor on the Teensy also has access to the USB and can emulate any kind of USB device you need it to be, making it great for USB-MIDI and other HID projects. 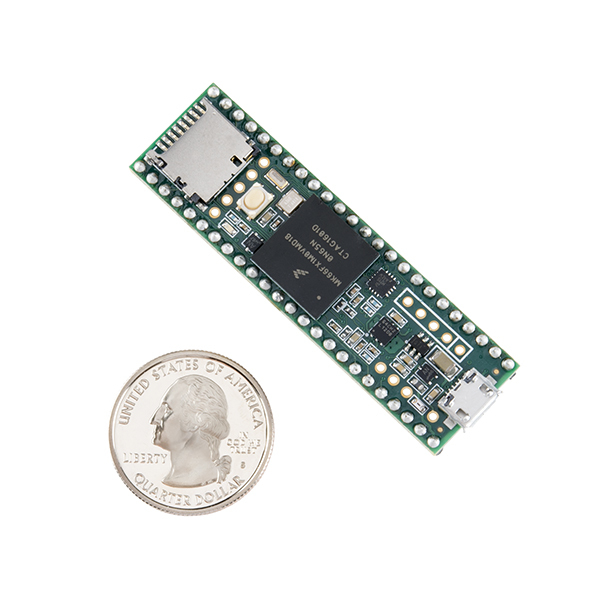 The 32-bit, 180MHz processor brings a few other features to the table as well, such as multiple channels of Direct Memory Access, several high-resolution ADCs and even an I2S digital audio interface! There are also four separate interval timers, plus a delay timer! Oh yeah, and all digital pins have interrupt capability and are 3.3V tolerant. All of this functionality is jammed into a 62.3mm x 18mm board with all headers on a 0.1" grid so you can slap it on a breadboard and get to work! 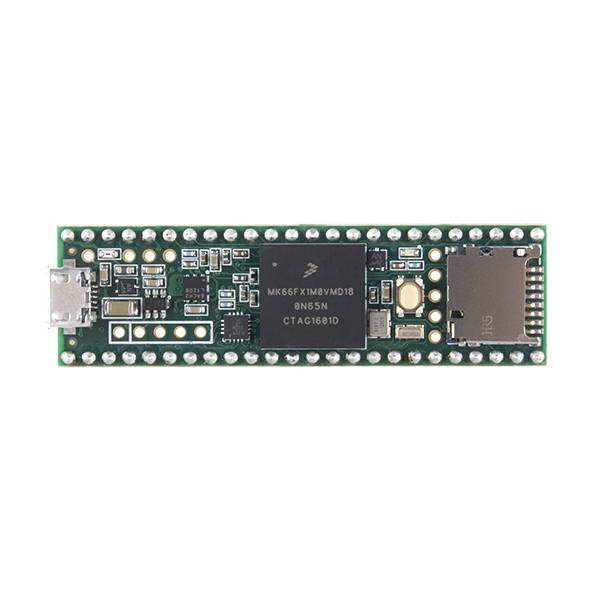 The Teensy 3.6 (as well as its sibling, the Teensy 3.5) is larger, faster and capable of more complex projects, especially with its onboard microSD card port. 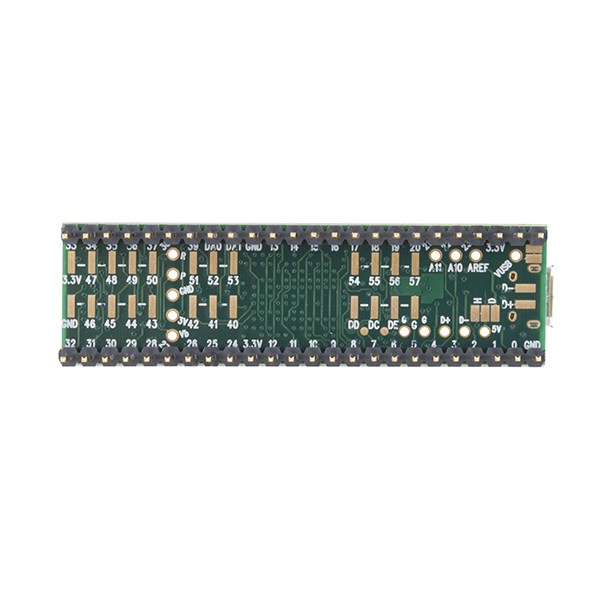 An upgraded ARM Cortex MCU (180MHz from 72MHz), more memory (1M from 256K)---as well as more RAM, EEPROM and accessible pins---make up the key new features of this board. The Teensy 3.6 is slightly scaled up from the Teensy 3.5. Are the header pics the small round kind that wonât destroy breadboard contacts? have exactly the capabilities I am looking for my product. Very fast, lots of memory, a floating point unit. This is an amazing device. I can't think of any microcontroller in this class which is better. We are designing several systems using Arduino for prototyping and One Wire for interfacing, and after testing a lot of development boards, by far, Teensy 3.6 was the best: performance, available pins, libraries, forum support, electronic quality ... Nice piece to base our development. Thanks much! I's great having a supercompuino! I plan to build a lidar with this. I made one of an Arduino now I am going to superize it!